Between 1849 and 1853 shares in nearly 120 public companies to exploit the booming goldfields of California and Australia were offered to the British public. The companies were collectively capitalised at over Â£15 million, but in the end only some Â£1.75 million was actually raised between 42 of them, with only one company surviving what the newspapers of the day described as a ’gold bubble’. This book provides an overview of the entire bubble event, its antecedents and its outcomes. A number of researchers have investigated an earlier boom in the mid-1820s to reopen gold and silver mines in Latin America and several have studied individual company operations of that period. 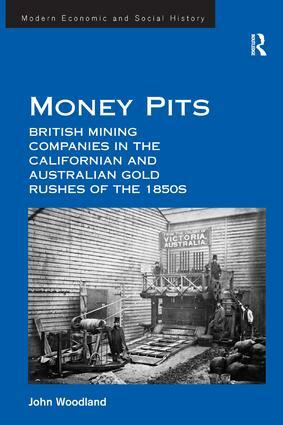 This is the first detailed investigation of the British gold bubble companies of the 1850s and their involvement in the almost simultaneous gold rushes on both sides of the Pacific Ocean.